Some of the hottest video games on the VR market are specifically tailored toward players with a taste for off-color humor and oftentimes abstract gameplay. 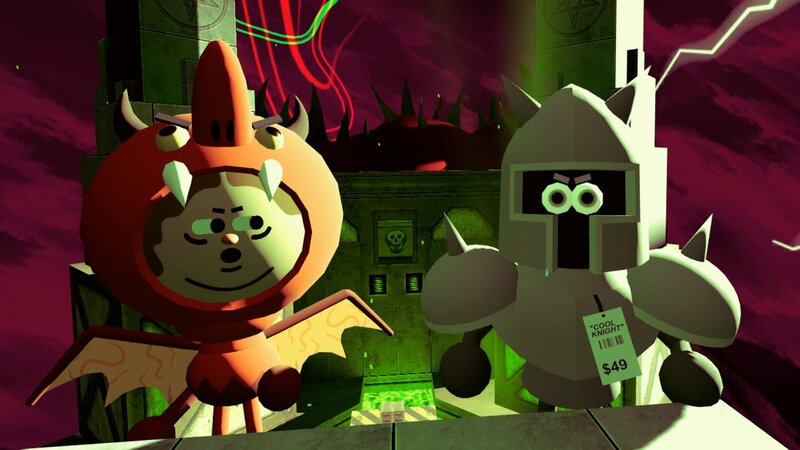 Accounting+ from the crew at Crows Crows Crows and Squanch Games is one such title, a VR experience from Rick and Morty co-creator Justin Roiland combined with the powers of The Stanley Parable's William Pugh and Minit's Dominik Johann. Previously available only for PlayStation VR, the quirky VR title has now made its way over to the HTC Vive and Oculus Rift. Accounting+ is an overhaul of Squanch Games' very first VR experience, simply titled Accounting, in which players assume the role of an accountant tasked with various office-related duties. As might be expected, the game is laced with Roiland's signature vocal style and comic stylings, and comes replete with all the curse words, occasional gore, and wild jumps between seemingly unrelated subjects that fans have come to expect. Don't take our word for it, though: check out the latest Accounting+ Director's Cut trailer featured below. The latest version of the game is slated to include a number of new levels as well as additional subtitles and translations, and will most certainly be not coming to the Nintendo Switch — don't believe the lies, they exist only for comedic effect. Players can scoop up Accounting+ right now through the PlayStation Store, or through Steam where it's currently running for a 15% discounted price of only $10.19.